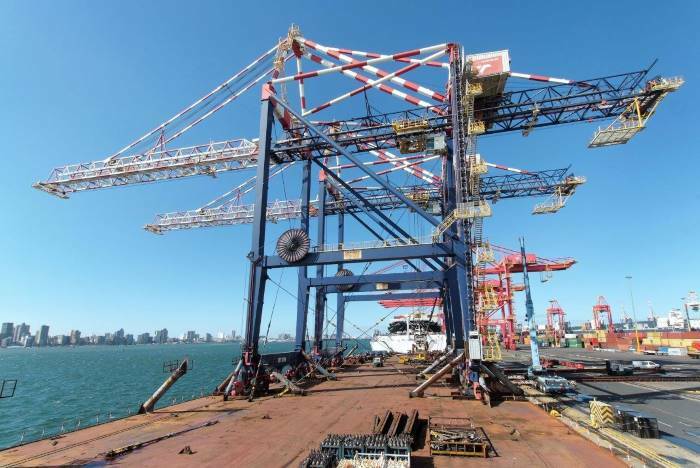 On 12 April 2018, two Liebherr DC Twin lift Cranes were sent from Ngqura Container Terminal to Durban Container Terminal [DCT] in response to an urgent need for more cargo handling equipment. The cranes were sent as deck cargo on the Chinese heavylift vessel, ZHEN HUA. 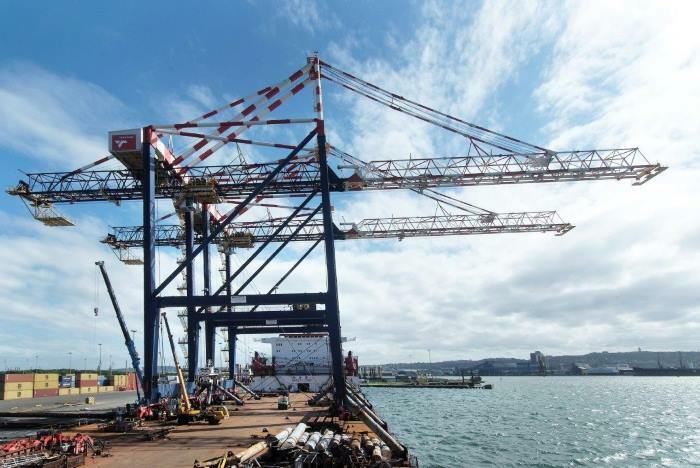 According to Transnet Port Te4rminalks (TPT), which operates the container terminals at both Ngqura and at Durban, the move is part of TPT’s drive to optimise use of its equipment and increase efficiencies at DCT as well as to ensure optimum berth utilisation. Of the two cranes that have been redeployed, one will be based at the North Quay for Berth 204 which will assist in deploying a maximum of 4 cranes on a vessel. The other crane has been deployed at Pier 1 to ensure 6 crane capacity at the terminal is restored while one of the STS cranes is being repaired due to storm damage that occurred last year in October 2017. Although these cranes will primarily be utilised at berth 204 and at Pier 1, they will contribute to an overall positive impact to TPT’s Ship Working Hour for quicker vessel turnaround. 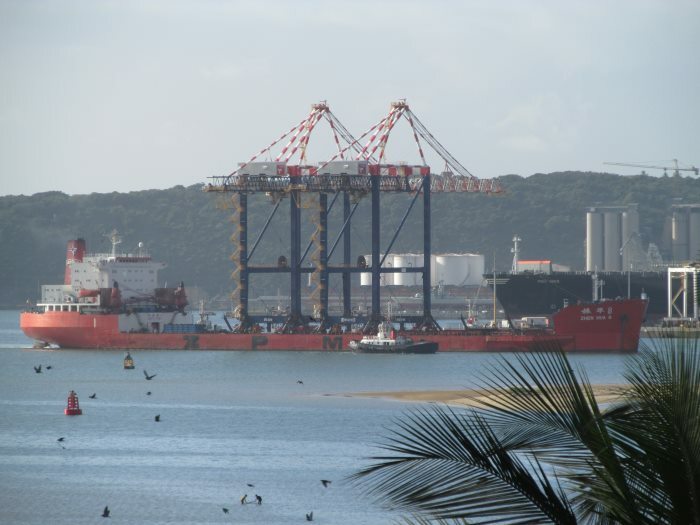 In the above three pictures, we see the heavylift ship Zhen Hua entering Durban with the two cranes on board. This picture is by Gerald Maddams. The following two pictures are taken from on board the vessel as it has come alongside the berth at DCT where the first crane was to be offloaded. Later the ship would move to Pier 1 to repeat the exercise with the second crane. These two pictures are by Zamandelu Mncwango. The International Maritime Organization has after a week’s discussion adopted a climate change strategy for international shipping. 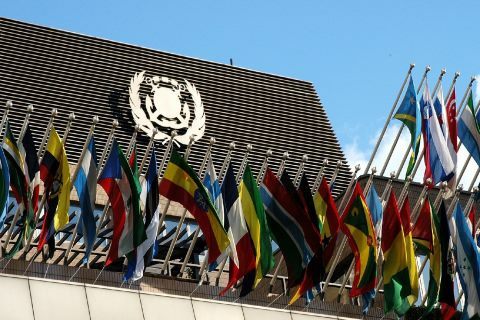 The meeting, held during its 72nd session at IMO Headquarters in London, was attended by more than 100 member states. Nations meeting at the United Nations International Maritime Organization (IMO) in London have adopted an initial strategy on the reduction of greenhouse gas emissions (GHG) from ships, setting out a vision to reduce GHG emissions from international shipping and phase them out, as soon as possible in this century. 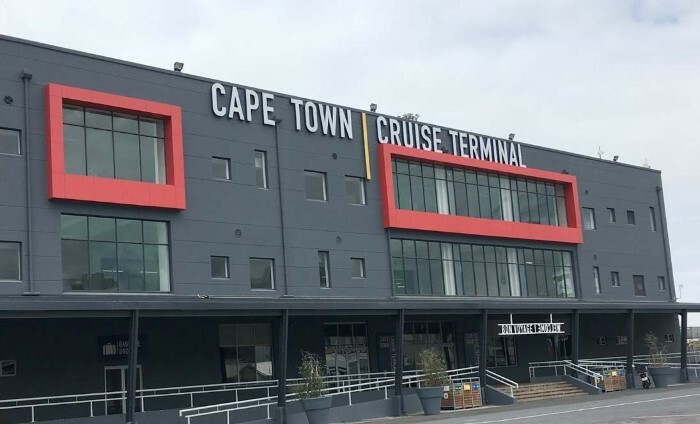 It was reported from Johannesburg on 12 April that Africa needs to take advantage of the economic potential of its ports and shipping sector if it is to realise its growth ambitions. Despite the high volumes of goods that require transport, the development and integration of ports in Africa’s wider logistic chains remains uneven. Globally, ports are gateways for 80% of merchandise trade by volume and 70% by value. 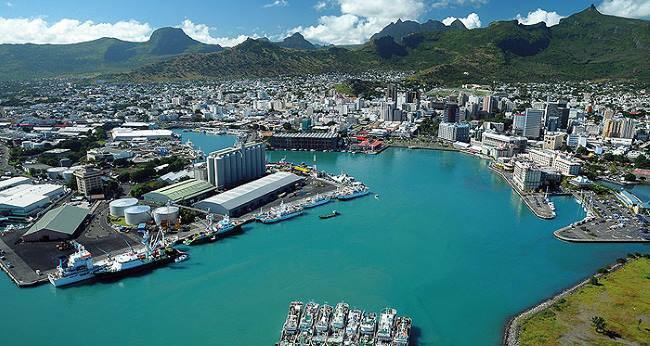 Investment in ports and their related transport infrastructure to advance trade and promote overall economic development and growth is therefore vital – particularly in emerging economies that are currently under-served by modern transportation facilities. However, port investment must be channelled appropriately to ensure financial sustainability and economic growth. Investment is not always about building new ports or terminals – investment spent on infrastructure without cognisance of the efficiency and effectiveness of the performance of the port may not produce the desired results. 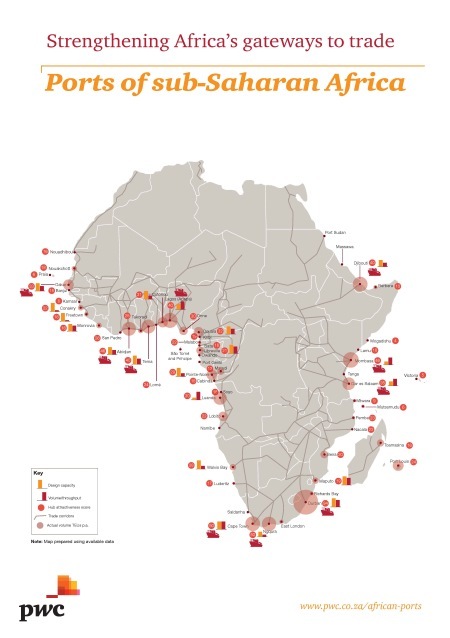 These are among the key findings of an analysis of port development in sub-Saharan Africa (SSA) issued by PwC ( www.PwC.com) on 12 April. 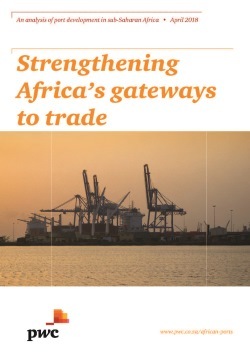 The report, Strengthening Africa’s gateways to trade, was developed in response to the challenges facing SSA’s ports in attracting external investment and highlighting the regional economic and growth benefits thereof. 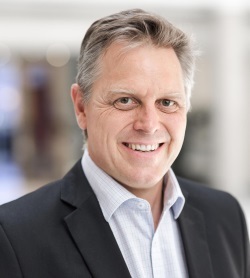 Dr Andrew Shaw, PwC Africa Transport and Logistics Leader, commented: “Ports are a vital part of the supply chain in Africa, with many ports having a far-reaching hinterland often spanning a number of countries, which makes them a natural focus for regional development. “In this report we show that the global transportation and logistics industry can no longer afford to ignore developments in Africa. Logistics service providers and ports in particular will continue to play a key facilitator role in trade competitiveness and thus facilitate trade and sustained economic growth across the region. 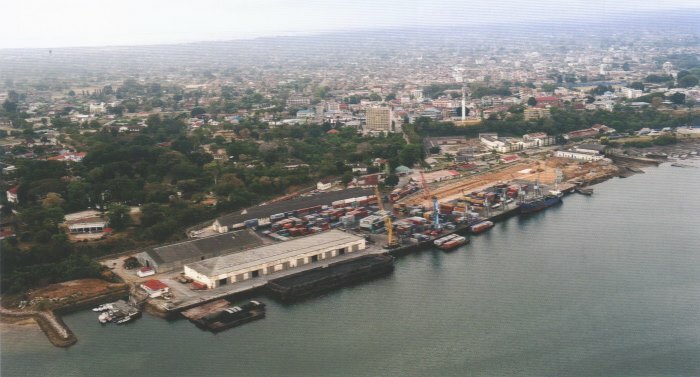 Tanzania’s oldest sea harbour and gateway, Tanga Port, is to have its cargo handling capability increased by 300% in the coming two years. That’s the news from Tanga Port Manager, Percival Salama, as related by the Tanzanian newspaper, The Citizen. Salama said this would enable the port to handle increased investment in the immediate region and also the hinterland that Tanga serves. 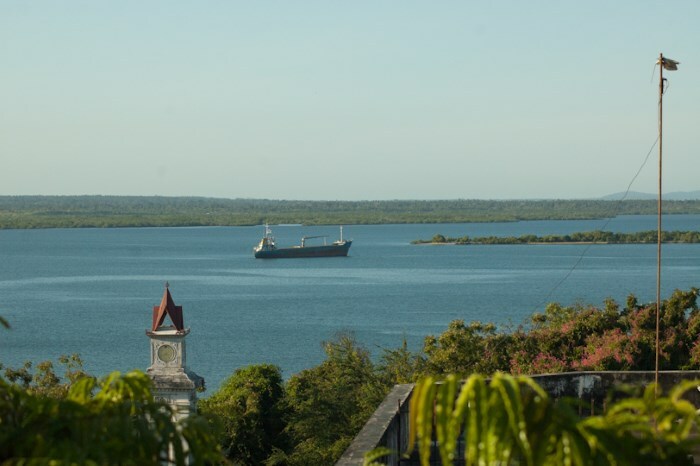 The port and town (now city) of Tanga dates back to at least the 14th Century when Persian seafarers and traders began using it as a safe harbour on the East African coast. The area has been occupied since the Iron Age based on the evidence of iron-age workings in the area. The short video above gives a graphic indication of something that went horribly wrong while the China Shipping Ro-Ro car carrier CSCC ASIA was being berthed at Durban’s R Berth. The incident happened on Friday morning – the 13th of April which will no doubt add something further to those who believe the date to bring with it bad luck. 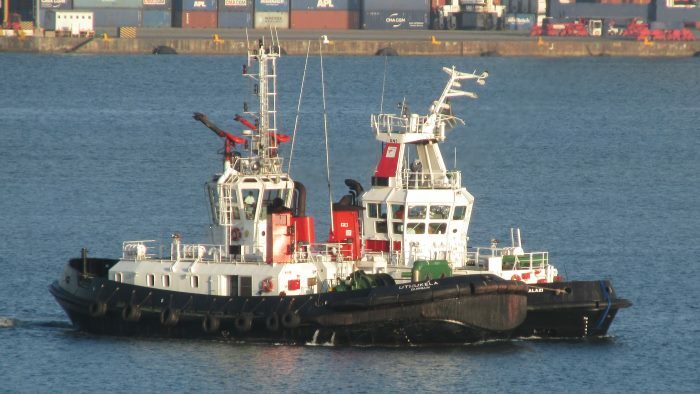 Unlucky it certainly proved to be for one of Durban’s older tugs, the Schottel-driven Inyalazi, built 1984, which was on her berth at the tug basin, which is close to R berth. When the news broke that the harbour-side restaurant known as Panama Jack’s would have to move from its location within the harbour at Cape Town, very many patrons were unhappy. 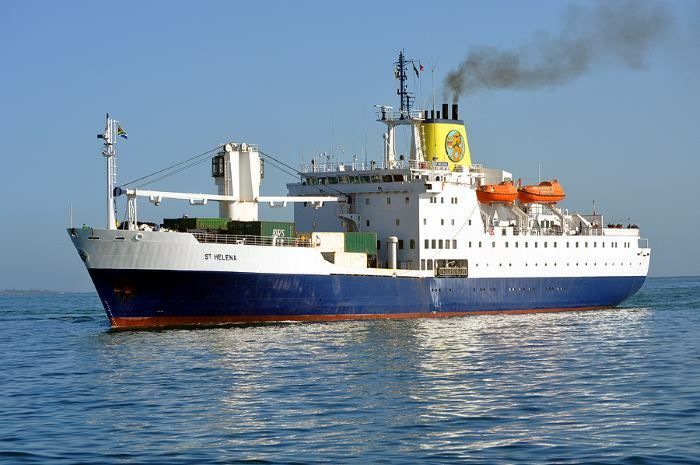 In other news from Cape Town, Ian Shiffman reports that a buyer for the mail ship RMS St HELENA has been found and the ship already sold. 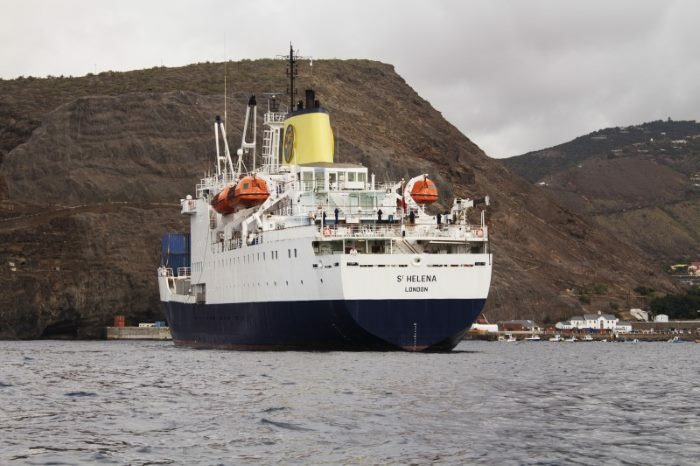 RMS St Helena operated the regular service between Cape Town and the South Atlantic island of St Helena, providing the only means of transport – both human and cargo – to and from…. The cruise ferry ship VIKING GRACE of Viking Line was transformed last week into a sailing ship. 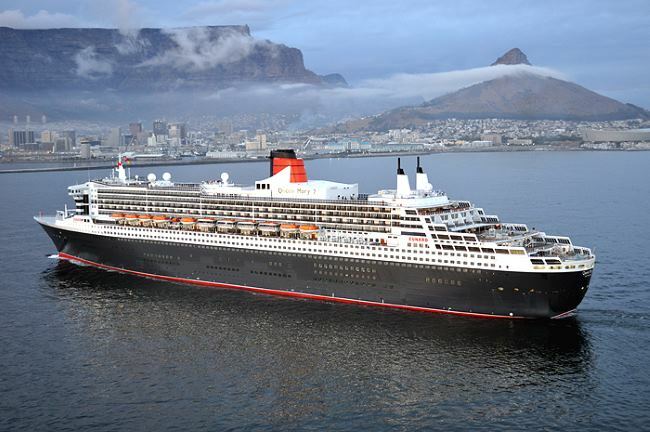 On Thursday, 12 April 2018 Viking Grace became the world’s first passenger ship to be equipped with a rotor rail from which the ship will be able to operate with wind power. 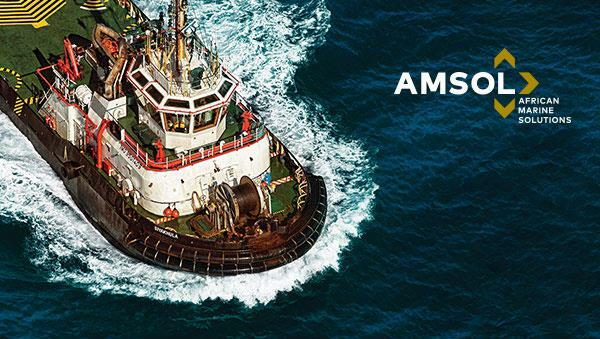 Developed by the Finnish company Norsepower Oy Ltd, the Rotor Sail Solution will cut fuel consumption and reduce emissions by up to 900 tonnes annually. 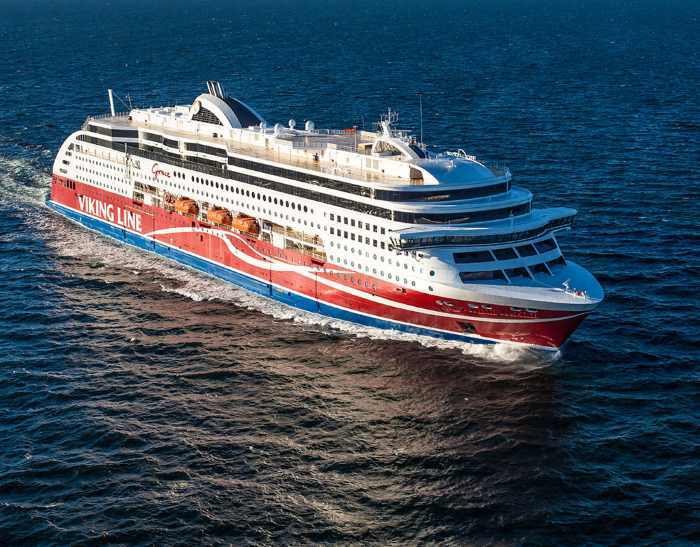 Viking Line commenced operating the Viking Grace on wind-assisted voyages between Turku (Finland) and Stockholm (Sweden) from 12 April 2018. 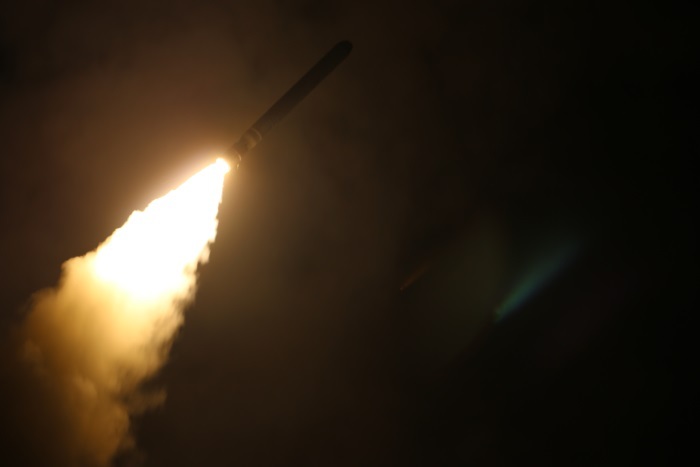 At 02h00 UK time on 14 April, British forces joined close Allies (US and France) in a precision strike on Syrian installations involved in the use of chemical weapons. The UK element of the carefully coordinated joint action was contributed by four Royal Air Force Tornado GR4s. 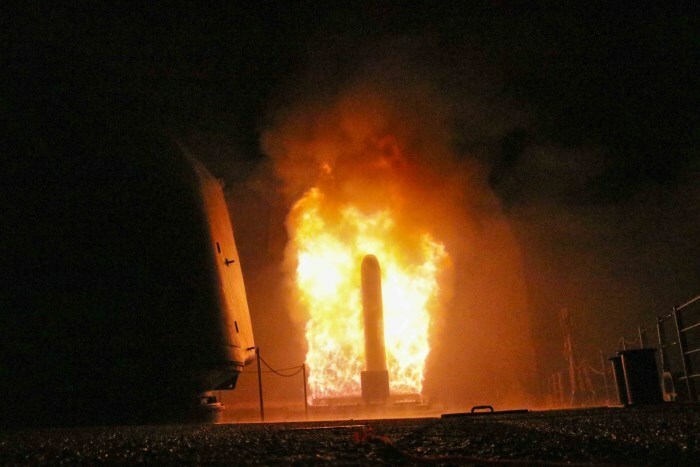 They launched Storm Shadow cruise missiles at a military facility – a former missile base – some 15 miles west of Homs, where the regime is assessed to keep chemical weapon precursors stockpiled in breach of Syria’s obligations under the Chemical Weapons Convention. “I support the actions taken by the United States, the United Kingdom and France against the Syrian regime’s chemical weapons facilities and capabilities. This will reduce the regime’s ability to further attack the people of Syria with chemical weapons. “NATO has consistently condemned Syria’s continued use of chemical weapons as a clear breach of international norms and agreements. The use of chemical weapons is unacceptable, and those responsible must be held accountable. 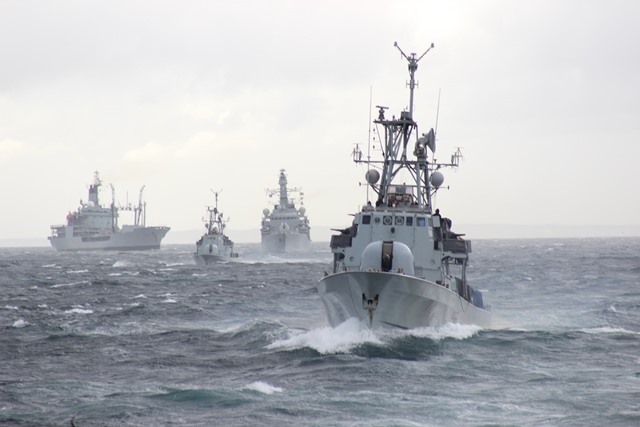 Our photographs here show US Navy assets in action. As far as is known British and French operations were conducted solely from the air.